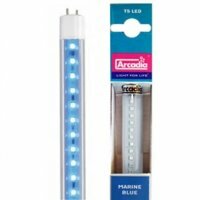 This Arcadia T5 HO LED Replacement Lamp 34" (for 36" Fixtures) 39W (equivalent) Freshwater Pro 8000K is a direct replacement for 39W, 36" T5 HO lamps for 36" T5 HO Fixtures. It'll fit right into your fixture with two pin connectors on each side, just like a T5 lamp. No extra ballast or connector to worry about. This lamp only uses 12 watts of electricity, but the output is the same as a new 39 watt T5 HO lamp. Over time it will be comparatively brighter because it will not lose intensity like a T5 lamp. It will also not shift spectrum. Even in areas with low electricity costs this lamp will pay for itself in just one year. That is, if you compare the cost of a typical T5 HO lamp plus one years' electricity cost to the cost of this lamp and one year of electricity, it will be the same. However, you will not need to replace this lamp after one year. It's warrantied for 2-years and the expected life is 5-years. The Freshwater Pro 8000K lamp has an even daylight look, and is appropriate for freshwater aquariums. 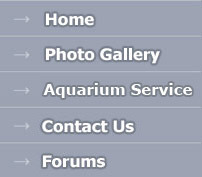 Use in conjunction with the Tropical Pro lamps for freshwater planted aquariums.